The Cautionary Tales of Mark Oliver Everett, the 11th Eels record since 1996’s Beautiful Freak, is one of the most searingly personal documents the man called E has cooked up yet. It’s the first time his real name and unobscured face have appeared on the cover, and it’s a spiritual successor to his 2008 autobiography, Things the Grandchildren Should Know. The 13 songs are colored with just about every shade of personal reflection, from quiet celebration to bone-deep remorse, and underpinned with subtly adventurous orchestration. On the occasion of his fifth studio release in five years, E discusses learning to reconcile life and music, the legacy of Electro-Shock Blues, and why he’d love to work with Kanye West. I recently found this video where you’re in your thirties and talking about how you’re a really awkward guy, both in life and onstage. You turned 50 last year — has anything changed? I noticed specifically in the tour we did last year that I did not feel that anymore. I felt like such a rock star some nights that it was scaring me. I was probably able to convey it earlier, but I never really felt it until recently. I’m still totally awkward in life. It seems you’re most comfortable obscuring yourself, whether with a flight suit or a giant beard or character-driven songs. But Cautionary Tales has your name and your face right there. That’s why this one’s so terrifying for me. There’s no “Dog Faced Boy” character, and I really just feel like I’m standing naked in front of the world. I don’t like it, I don’t like this feeling at all, but I do believe it’s a worthwhile endeavor. It just feels about a hundred times more vulnerable than usual. I bet there are people who’ve listened to you all this time who don’t know your real name’s Mark Everett. Yeah, that’s OK. I don’t care. It’s fine with me if they think it’s a fictional character. So what made you go to this place, if it’s so rough? That’s a good question. [Laughs.] I’d been through this experience and I thought a musical version of it could really offer something and maybe even be something to learn from. At 10 years old my favorite record was Plastic Ono Band by John Lennon, which I now know is a very odd record for a 10-year-old to embrace. But there was something about the way he could cut to the heart of the matter in such an honest way that really resonated with me and I think it just stuck with me forever. A 10-year-old E screaming along to “Mother” makes sense — I’ve read you say how you felt like you were raised by wolves. That’s part of what led to this record — I really didn’t have a clue. I wasn’t given any direction as a child and I was just such a lost cause and a lost soul, and then music saved me. It was such a miracle that I got to make one record, let alone all these records 22 years later. But because music saved me, that’s what my whole … that’s what all those years were about, survival. And now I’m at the point where I had to realize there’s a price you pay for that. It creates a really unbalanced life. Life catches up with all of us if things aren’t balanced, and it caught up with me and I went through this experience that was … since the time music came along and saved me, this was the next biggest thing to change me as a person. I thought I should combine the two now and make some music about the experience. I have to mention how much regret there is in these songs. There’s a lot of beauty, but you can’t escape how mournful they are, too. Well, thank you. Any true lesson that any of us learns in life comes at the expense of experiencing great pain. And this is one of those. But if you’re smart, you use it and you look at it and you figure it out and try to figure out how to make some changes so things are better in the future. What’s your relationship with your label at this point? We make the whole record on our own, I pay for it all myself, and then we give it to somebody to put out. It’s nice in that respect, it’s really as indie as it gets. I’ve never felt like part of any scene. We all probably think of indie some big way and it’s a bunch of guys with beards and flannel shirts and they stare at their shoes while they play songs. I don’t know what indie really means, but if anyone is indie, it must be me, because I have been very independent for a long time. A lot of Eels songs are just you, solo, but you’ve been touring and writing with this lineup the last few years. What’s it like making an album like Cautionary Tales collaboratively, sitting in a room with these guys and pouring your heart out? Are you guys enough of a band now that you’re actual friends, that you’ve gone through some things together? Oh, yeah. When you tour the world with the same group of people maybe, I don’t know, four times now, you become very close. We were already friends before all that, and it’s become the best part of my life, touring. In the early days it was kind of the worst part of my life, but it’s all about the combination of people and the feeling of a family rolling on wheels. Do you have other artist friends you bounce ideas off? From the outside it seems like everything Eels-oriented happens in your head and in your basement. It is in a bubble, pretty much. Other than occasionally Jon Brion maybe, it’s hard for me to think of any other people. I’m too kinda shy to like sit there and play whatever I’m working on for people to listen to. It’s crazy to think Jon Brion had a hand in both your early stuff and Kanye West’s second album. I love Kanye West. I really love his new record, especially. I would love to work with him, too. I think he’s kind of as good as it gets in terms of modern artists. And he’s clearly nuts, but that just makes me like him more. 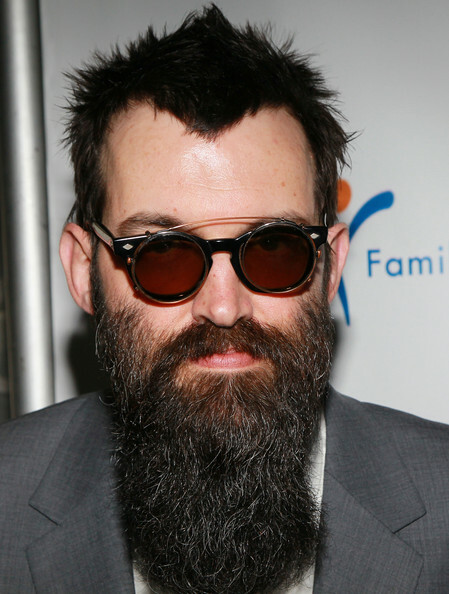 He’s one of those guys that has no filter, and that’s what I’m trying to do on this new Eels record, I’m just trying to get rid of the filter. I find it refreshing when a guy like Kanye comes along and is willing to say all these ridiculous, outrageous things, and he’s just telling the truth as he sees it. How haven’t you produced for anyone yet? I don’t know if I have the right people skills for it. I feel like I would have a hard time, because if you’re producing an artist, they get the last say. And if I feel like they’re really making a bad choice, that’s gonna be hard for me to sit through. But that said I would like to experiment with it at some point. Have you been able to gauge the impact of your autobiography? It was such a good feeling, because I didn’t have a book deal, nobody asked me to do it, I just tried it out as an experiment. And then to have it come out … I’ve probably had people stop me on the street and say something about the book more than about the music, at this point, which is a nice feeling. Talk about feeling vulnerable — that felt really vulnerable, to put out such a naked account of my life, just chock-full of embarrassing details. As a survival mechanism, I think, once I finished it I just never thought about what was in it again. So when people come up to me and say they liked the book I just don’t think about anything specific in the book that they now know about me. I would say if anyone was interested in what happened since then — ’cause that was probably nine, 10 years ago that I wrote it — this new album is kind of a sequel. It’s as close as I have to an update to what’s happened since then. It’s been almost 16 years since you put out Electro-Shock Blues. I’m not gonna do the thing where I insist that the early stuff is the pinnacle, but it does feel like that album’s got kind of an unbeatable legacy. It’s such a ready-made album to hand to anyone grieving for a loved one, and it’s so musically all over the place. It’s nice to hear that, ’cause I just remember what it was like when I made it. And when I played it to anyone that I was involved with in the music business, they all thought I was crazy and shouldn’t put it out. It was one of the loneliest times in my life, compounded by what I was going through with my family. [Editor’s note: E’s older sister committed suicide and his mother died of cancer, both shortly after the success of the first Eels album.] And then feeling really confident about that album and being told it shouldn’t come out. So it’s nice that I was brave enough to put it out and that people like it. It must have been crushing to have the label not get what you’d made. That was definitely a defining moment for me. I think had I not done that, had I done what I was being advised to do, I don’t think we’d be talking right now. I don’t think I’d still be around. If I put out Beautiful Freak Part 2 like everybody wanted me to, I think that would’ve been about the end of it, probably. Do you maybe feel like you don’t get what the big deal about Electro-Shock Blues is, since you’ve made so many albums that were obviously meaningful to you since then? In my mind, that one is an important one. And Blinking Lights, for me, is maybe a tie with that one. And I think Cautionary Tales is right up there with those. I wouldn’t put any of them out if I didn’t think they were good, but I understand why some people would gravitate toward those. And then there’s people that feel the opposite way — they’re all about Souljacker or Shootenanny! and they don’t like the softer stuff and the introspective stuff. Do you picture a life after music? Or are you just doing this till the wheels fall off? [Laughs.] Well, that’s an interesting way to put it. I very well might retire at some point, I don’t know. I have no idea. Music, as I said, really saved me, and I would be nowhere without it. But now I’m dealing with the other side of the coin and trying to figure out how to create some balance in my life, so who knows. There’s no plans for the future right now — we’re just gonna get this record out and play some concerts. After that, it’s a blank slate. Historically, it has been difficult for me to not do it. But I also might be at a point in my life where it’s the right thing to do, to not do it. Are you scheming about how to get away from all the nakedness of this one yet? I haven’t thought beyond this yet, but I’m sure after this experience I’ll want to do some hiding, be it actual hiding or hiding in some character. Summer Movie Preview: Same Dudes, More Women! Lightning Round: What the Hell Is Michael Bay’s ‘The Last Ship’ About?